Video of Can Seaweed Cut Methane Emissions on Dairy Farms? Seaweed may be the super food dairy cattle need to reduce the amount of methane they burp into the atmosphere. Early results from research at the University of California, Davis, indicate that just a touch of the ocean algae in cattle feed could dramatically cut greenhouse gas emissions from California’s 1.8 million dairy cows. Kebreab’s project is the first to test seaweed on live dairy cattle anywhere in the world. His team will publish preliminary findings in late June and begin further tests with additional cattle later this summer. Cows and other “ruminant” animals like goats and sheep burp continuously throughout the day as they digest food in their rumen, the first of four sections of their stomachs. 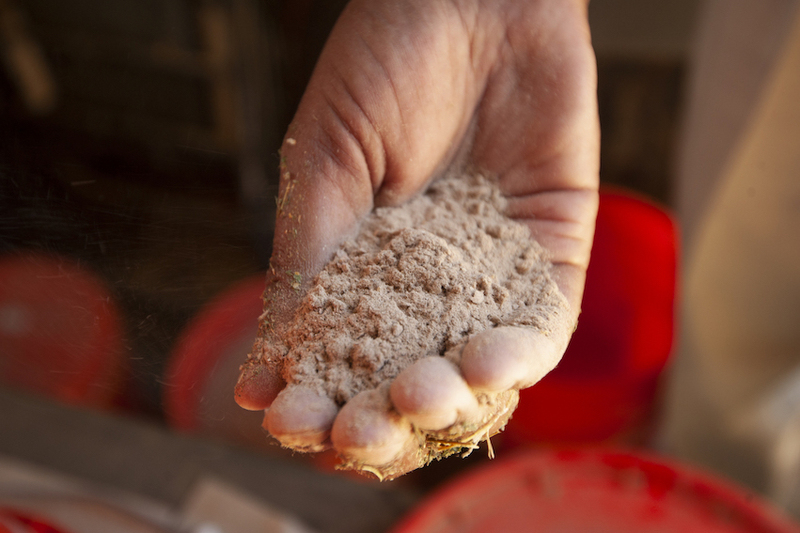 The rumen is home to millions of microbes that help ferment and break down high-fiber food like grass and hay. This fermentation produces gases that combine to form methane, an especially potent heat-trapping gas. In an effort to reduce greenhouse gas emissions, California legislators recently adopted regulations requiring dairy farmers and other producers to cut methane emissions 40 percent by 2030. “The cows didn’t like the curry,” Kebreab said. Judging from the reaction of the UC Davis cows, the seaweed is so far, so good — especially when cut with a bit of molasses. To test seaweed efficacy, Kebreab and animal nutrition graduate student Breanne Roque have separated 12 cows into three groups. Two groups are fed with different doses of seaweed, and one group’s feed has no seaweed at all. They rotate through the two-week feeding regimens with a weeklong seaweed fast in between. “The numbers we’re seeing are amazing — well beyond the target that farmers will need to reach,” Kebreab said. 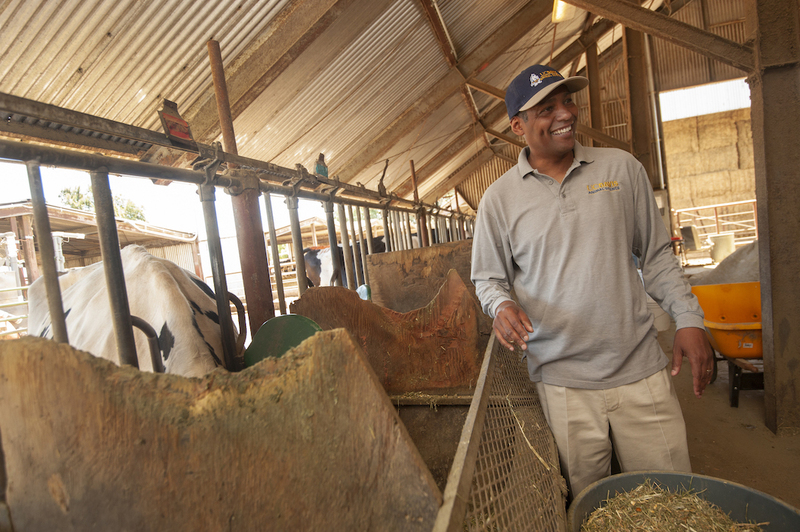 “By improving the quality and quantity of dairy production in developing countries, we help families rise from poverty and malnutrition, and also reduce the carbon footprint of cattle worldwide,” Kebreab said.